Shed Series is a series of works that are all inspired by and created in a backyard suburban tool shed. 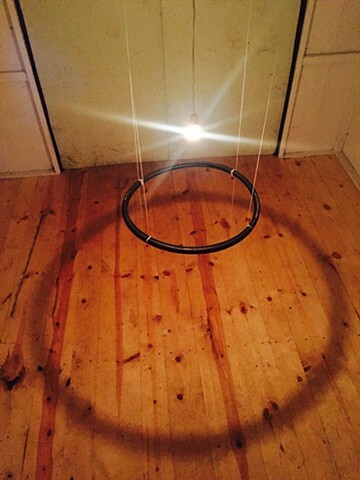 In Shed Series IV a low-wattage bulb hangs from the ceiling and casts the shadow of a bike tire on the floor. The tableau is viewed through the small window on the back of the shed.